Early cover - prior to Sean Callahan joining the team. With the first chapter of this story I did things a wee bit different. I started with the dialogue! Since I wanted the entire story to be driven by the rhyming narration, I decided to work on that first, as you can see in the image with my longhand, chicken-scratch handwriting. All the while, while trying to stick with anapestic tetrameter (unstressed - unstressed - STRESSED x4), I was picturing exactly what would be in each panel. I knew the overall tale I wanted to tell here, so I was able to focus on pacing each page and revolving the story around the rhyme-scheme. At this point, once I typed everything up and made it legible to the normal human, Axur took the reigns. The script should always be a guide for the artist, not a set of rules set in stone. Collaboration is key. As a writer, you should let the artist do their magic and change what's inside of the panel as they see fit. In the end, it' should all be for the betterment of the story. Axur laid out the panel borders and Chas! did a rough placement of the letters first, since the narration in the script was pretty complete on day one (usually never the case), this way he knew what kind of space he was dealing with for the artwork. Once that was done he knocked out the very rough linework. As you can see, Axur dove straight into the inks after setting up the roughs, far exceeding my expectations and setting the artwork up to create the visual look for this gritty and whimsical world. 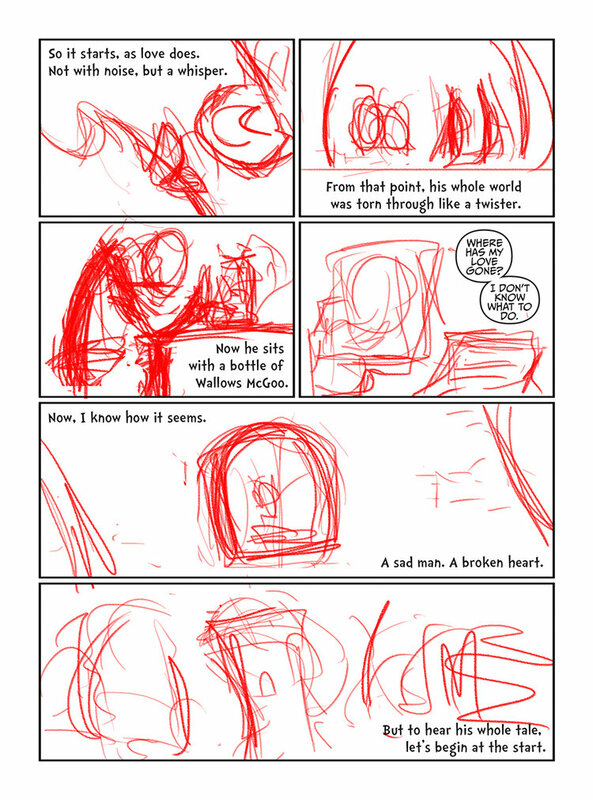 So, not much has changed in terms of lettering once things were laid out in the "roughs" stage. There was a good amount of discussion regarding the coloring of this story. We wanted to keep it minimalist, to keep it having a children's book/Seuss-like vibe. Sean Callahan came on board and delivered perfectly. 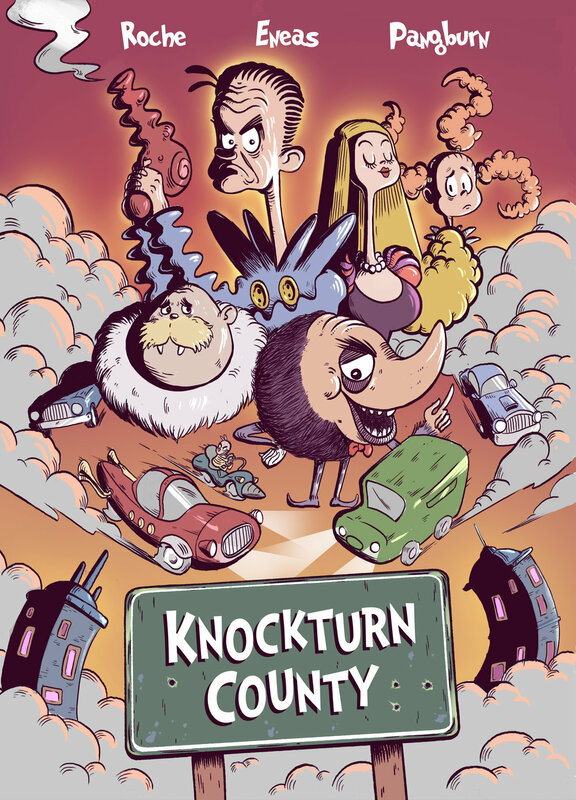 To read the whole short story (the first of something to come) jump over to Knockturn County. Thanks for checking this out! Feel free to reach out if you have any questions or follow me at the social media links on the bottom of the page. If this, or any process posts I've made sign up for my mailing list! Posts like these, and more, go out earlier to people on the mailing list.